Looking to purchase a private jet? Before you do, you'll want to have it looked at. 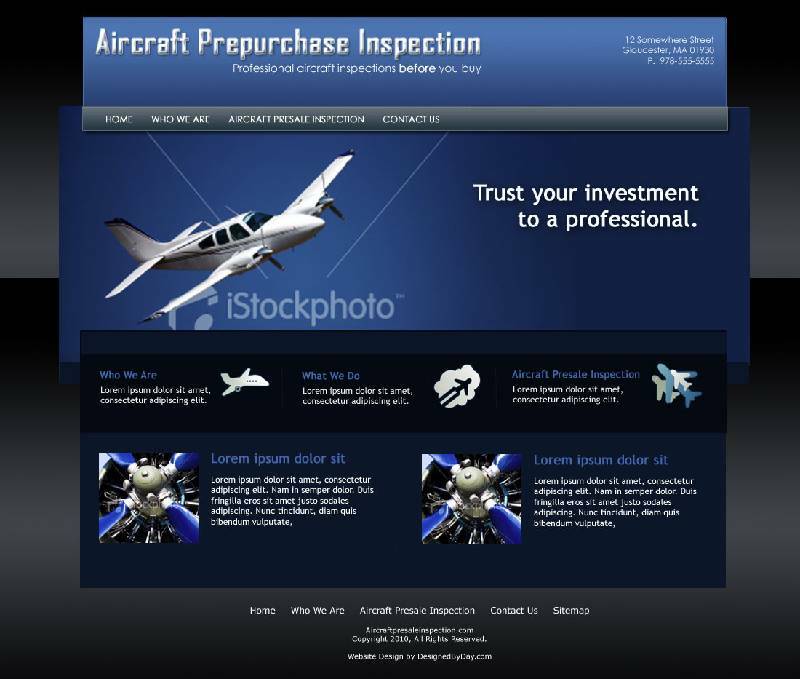 Designed By Day will be working with Brian Eason, an aviation expert with over 50 years experience in aviation mechanics and flight to develop a new website for his aircraft inspection business. Aircraft inspections sounds like a pretty obvious thing to do before investing hundreds of thousands of dollars, right? Oddly enough, this service isn't as widely available as you may think. Brian's services will provide businesses and private investors with a thorough inspection of any aircraft, anywhere in the world BEFORE they buy.